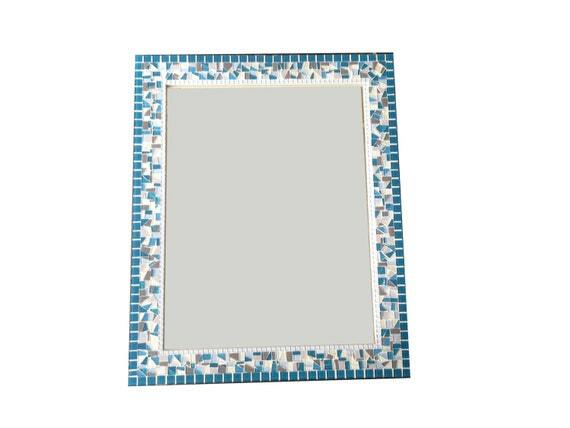 Large decorative mosaic wall mirror, handcrafted with glass mosaic tiles in teals, grays, blues, and whites. This mosaic mirror includes tiles with a metallic finish adding some sparkle. A bold 1" outer border in Peacock (a bluish teal) coupled with an inside borer in light blue creates a uniform and geometric look. Perfect for any room in your home -- bedroom, bathroom, living room. Fun colors for a beach house!